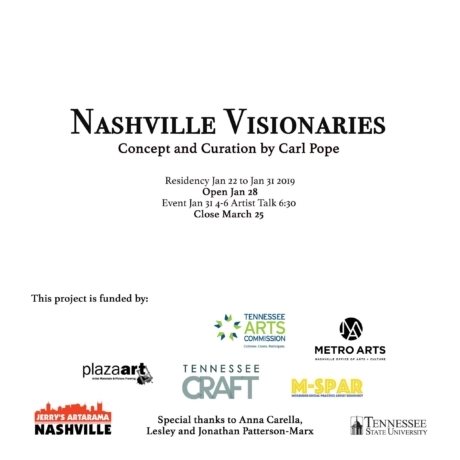 Artist Carl Pope is looking for text based work from Nashville citizens, that is imaginative and visionary in some unusual or radical way. 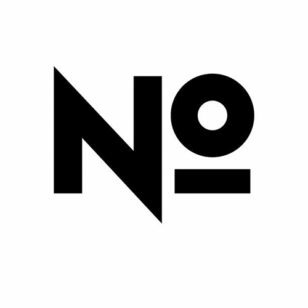 He is looking to identify writers, musicians, poets, visual artists, professors, students and visionaries in Nashville to contribute to Nashville Visionaries. 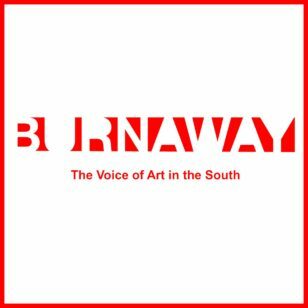 Work accumulated will be designed and curated by Pope during his residency at TSU into Nashville Visionaries, to be on display in the Hiram Van Gordon Gallery from January 28th to March 25th, 2019. Live performances will be scheduled for the opening and through the run of the show. The gallery will be used as a venue for various kinds of speeches, lectures, concerts, psychic readings, comedy standup, poetry slams, sermons and performances during the run of the show, looking for the visionary.